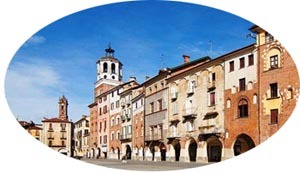 Antonio Pavoni was born in 1322 to a noble family in Savigliano, a municipality in the Piedmont in northern Italy. At age 15 he entered the Dominican Monastery of Savigliano. In 1351 he was ordained a priest and began fighting the heresies that were infiltrating the Piedmont region. At age 39 Pope Urban V named him Inquisitor-General of the Piedmont, Lombardy and Genoa. Sent to combat the heretics in Turin, he refuted with precision and clarity the Waldensian errors. He was threatened by those heretics but did not fear them. The following day, April 9, 1374, after having prayed all night, he celebrated Mass, left the church and seven men fell upon him and stabbed him to death, breaking his body into pieces. 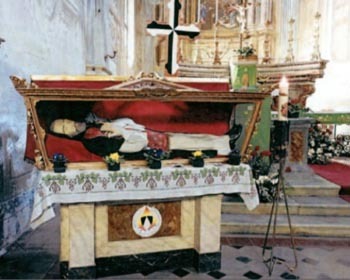 His body today is in the Dominican church of Racconigi in the province of Cuneo. 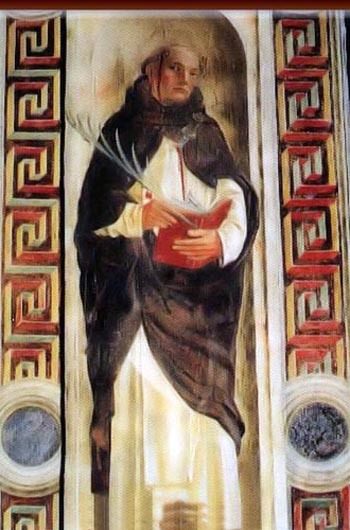 The Diocese of Pinerolo, in the region where he was martyred, celebrates his feast on April 9. Many miracles were attributed to his intercession. In 1856 Pius IX authorized his cult. In this life you find several aspects worthy of consideration. First, you have one more Saint who was an Inquisitor. The Black Legend spreads the lie that the Inquisition was an intrinsically nefarious institution. However, it was the Church who instituted the Inquisition, made its laws and governing bodies, and canonized men who exercised the office of Inquisitor. This proves that the Inquisition cannot be an intrinsically bad institution. Here you have the beatification of a man who was an Inquisitor during his life, died as consequence of carrying out his duties as Inquisitor and was beatified by Pope Pius IX. It is another approval of this institution by the Church. Second, you see that this martyr took a counter-revolutionary position. The Waldensians were heretics of the Middle Ages who followed the doctrines of Peter Waldo of Lyon. Those doctrines were very similar to the doctrines of Luther. He is considered a precursor of Luther to such a degree that the region of Vaux, where Peter Waldo preached, was so corrupted doctrinally that the people there adhered to Protestantism as a block. This is because the doctrine of the Waldensians was a rudimentary form of the Protestant doctrine. Blessed Pavoni fought against those pre-Protestants, and fought with such efficiency that the heretics decided to kill him. So, you can see that the hatred of the Protestants is not only against the abuses in the Church as they allege. Those abuses are only the pretexts of the enemies of the Church to attack her. They want to destroy what the Church has of good. If Blessed Pavoni were a corrupt inquisitor, the Protestants would not have killed him. Instead, he was a man of extraordinary virtue and the Waldensians attacked him precisely because they hatred his virtue. Third, you see how God treats His Saints. He allowed this man to know the day and hour of his death to prepare him for it. The Saint was so joyful that he even joked about it with the barber. A curious side note is that this Dominican, a religious man, used to go to the barber. He did not have a lay brother to shave him nor did he shave himself; he went to the barbershop. During the shaving he had a little talk with the barber joking about his own death. Naturally, the barber only would understand later what he meant by saying that he would attend a wedding. Blessed Pavoni, therefore, was so aware and certain of his death that he joked about it. The next day he said a Mass, went out and was killed by the heretics. His soul went to Heaven to be with Our Lady and Our Lord. Fourth, you see in this story how important is the grace of a good death. It is a grace that we should ask for. Death causes horror to many people, but what should cause horror is the death of the impious, of one who is not assisted by God. The death of the person who God assists, of one who has asked for the grace of a good death and is comforted by Our Lady and Our Lord, can be a delightful episode. This reminds me of St. Therese of Lisieux who one night had a hemoptisis – a coughing up of blood from the lungs – which announced the death she was expecting. To practice mortification, she did not look at her handkerchief to see whether she had coughed up blood. In the morning she saw it was blood and she became radiant with joy, because it was a sign that the King would come to take her away as His spouse. 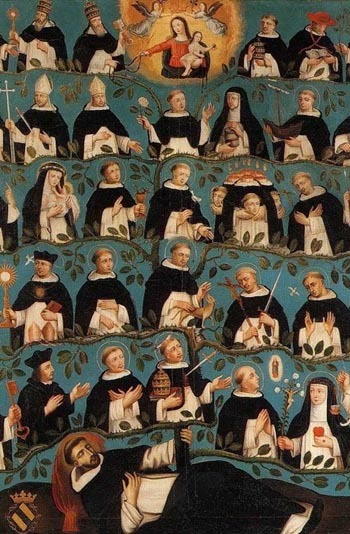 Let us ask Our Lady – we who probably will have to risk our lives many times and perhaps offer it up – to give us the grace to walk toward death with the joy that so many saints had when they faced it.